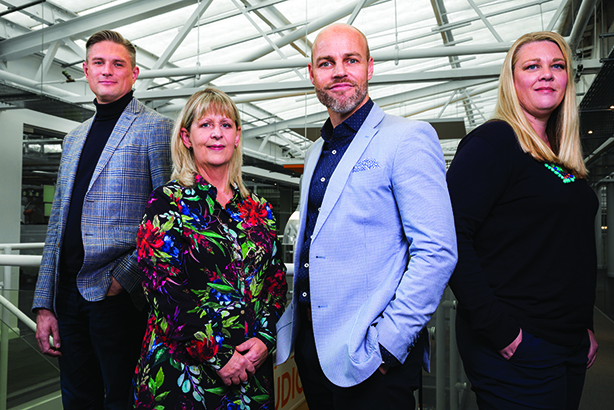 Fresh from its PRWeek Awards success, specialist agency 90TEN is on a mission to bring innovation to the traditionally cautious world of healthcare comms. Board members tell PRWeek about salary inflation, reputational issues and future ambitions. The three members of the four-person 90TEN board who are with me – chairman Paul Tanner, chief executive Carole North and managing director Peter Impey – are in fine spirits. Tanner hails from a technology and marketing background, having worked for Cable & Wireless, while North began her career in the field of defence PR, for Thorn EMI Electronics, and set up Context Communications at the age of 30, specialising in IT, not-for-profit and consumer PR. Impey worked for Procter & Gamble as a business manager before working for agencies including Virgo and Ketchum. The fourth board member, Alison Doughty, also worked for Ketchum, and is a former lecturer in biochemistry. A few weeks before our interview, the agency walked away with the Mid-sized Agency of the Year and Specialist Agency of the Year gongs at the PRWeek Awards 2018 – and their trophies are now weighing down the shelf in the boardroom. Tanner jokes that it’s lucky the awards made it home in one piece, because the agency has form for leaving them in taxis or on the club dancefloor. But winning an award, let alone two, is no joking matter for the agency, says North, who thinks it has had a "huge effect" on recruitment and new clients, not to mention staff morale. Before winning, the agency had four potential candidates in the pipeline. North says: "The following week, they all signed contracts, so in terms of our reputation in the industry, the effect was enormous. It has also driven a series of RFPs and we have been pitching for England ever since." She adds: "Internally, we’re feeling very acknowledged. I’ve been in PR for 38 years and this is a defining career moment. It has also reassured our clients that we’re the top agency in the business at the moment." 90TEN has more than one achievement to celebrate, however. The agency predicts that by March, its fee income will be up 54 per cent year on year. The board expects it to reach £7.5m, up from £5m the year before. "This is going to be a record-breaking year," says North. "We’ve invested heavily in behavioural science and our growth has been driven by our deep understanding of human behaviour." The healthcare sector is notoriously cagey about its clients, many of which insist that their agencies do not identify them as part of their contracts. However, the board does reveal that 90TEN represents 11 of the top 20 pharma companies and that it added four of these to its client roster during the current financial year. The agency has also picked up clients in a wide range of therapy areas. But that’s not enough. North says: "In the next financial year, we expect to grow by more than 20 per cent and we are aiming to add two more top-20 pharma companies to our portfolio." All this work needs a lot of staff. 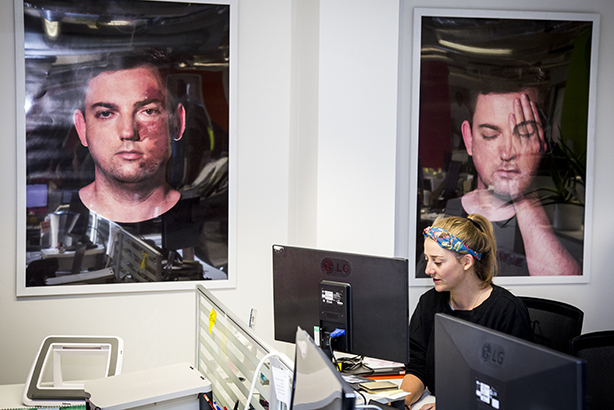 Founded 17 years ago, the agency employs about 60 people, two-thirds of whom work in PR and comms. The rest work within Doughty’s medical education team. Ask any agency chief, from any sector, what their biggest challenge is and they will tell you it is recruiting and retaining the best talent. The same isn’t just true of the healthcare sector; in fact, the issue is more acute for agencies in this heavily regulated area. They require highly skilled individuals with a science degree or background, and who deliver to an exceptionally high standard. With a confirmed skills shortage, that rarest of birds – salary inflation – appears common in the sector, with a race to the top to ensure retention. North says: "Something the industry needs to address is that people will over-promote staff when they do not have enough experience and will counter someone leaving by massively inflating salaries. I don’t think that’s helping anybody, least of all the candidate trying to deliver a role they’re not qualified for." So is the oft-mentioned millennial generation the answer to the skills shortage? 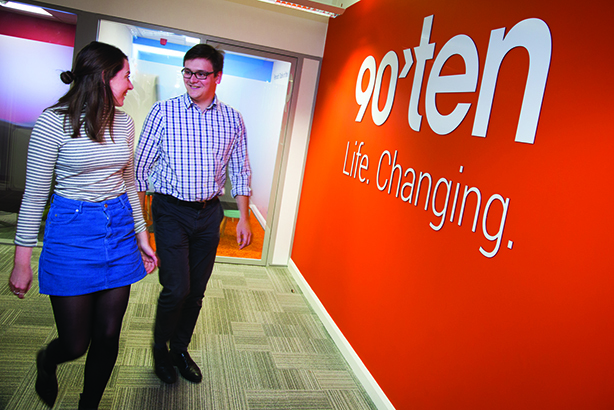 About 70 per cent of 90TEN’s workforce falls in this category and 10 per cent of its 2018 intake were graduates, while the agency works closely with universities to ensure that students are aware of healthcare comms as a career option. North says: "Millennials want to come to work knowing they are going to make a difference in the world and this is why healthcare communications is the right thing. Do they want to go and promote a perfume, or do they want to help people, save lives, or improve the life of someone living with a terrible condition?" One issue potential candidates might have with healthcare comms is that the sector can appear opaque, at best, from the outside, and positively murky – depending on one’s media preferences – when reading about the pharma industry. However, a recent survey of 5,000 16- to 24-year-olds by Roche found they trust pharmaceutical companies with big data more than tech giants. Impey believes that is because young people have grown up in an era of data breaches or misuse by tech companies, while "the pharmaceutical industry has had to adhere to strict regulations, in particular around patient data". People appear more at ease with the notion of giving up highly personal data via wearable health tech devices or apps than sharing it with the NHS which, arguably, could do more for the nation’s health than a private organisation. It’s an interesting paradox. Impey suggests this is to do with the perceived vulnerability of NHS IT systems to cyber-attacks, such as 2017’s ‘Wannacry’ incident. He adds: "If you had the right infrastructure [in the NHS] it could do more with the data it gets." Healthcare companies, like any other type of organisation, are not immune to reputational crises, from side-effects to patients dying during a medical trial. Impey explains: "A healthcare comms agency needs to be equipped to deal with those kinds of issues; properly, ethically and in real time." But are there circumstances in which healthcare agencies would feel compelled to work with a corporate comms agency – more commonly associated with issues-management? "It depends on the issue," says Impey. "We’re working at a global level and engaging with some high-level stakeholders, such as the World Health Organisation. You’re going to have to work with the right partners to do that." What’s next for healthcare comms? Tanner thinks the way people consume news is driving one of the biggest trends healthcare communicators will have to grapple with in 2019. He says: "The platforms for the delivery of news have changed and people are more likely to get it from [social media] than TV or newspapers. We are entering an era of fake news and the proliferation of questionable social-media sources, which is damaging not only for the healthcare comms industry, but for the industry, too." However, Tanner thinks pharma companies are missing a trick by not using social media more than they currently do. He continues: "I think pharma needs to embrace these channels much more, because we need to deliver credible, reliable news which is really ethical in its nature." At the time of writing, the government’s Brexit plans hang in the balance, awaiting a crunch vote in Parliament that could scupper the entire process. However, the agency is largely sanguine and insists that it will remain ‘business as usual’ whatever the outcome. Even so, Tanner has identified two threats to the sector, one of which is that the UK could be "de-prioritised" as a launch market for new medicines. "This might mean that comms and marketing spend may be reduced in the UK or that funds are diverted to Germany or the US." Another threat is the imminent move of the EU’s European Medicine Agency (EMA) from London to Amsterdam. Tanner says: "Global pharma companies have their European headquarters here because the EMA is based here; we speak English, which is a common language; and we’re a gateway to Europe. If we’re no longer part of Europe, there is a likelihood that some pharma companies will consider moving their EU headquarters elsewhere." As for the agency, he has no doubt it will survive the winds of Brexit. "We will always adapt and innovate. That’s just who we are as a business."